First off, apologies to Toronto Desi Diaries readers, for my inconsistent posts lately. I was juggling at least half-a-dozen projects and these blurred my priorities and tested my resilience. Suffice to say, I did not emerge from it all unscathed. I am emotionally exhausted. Which brings me to the conversation I had with a remarkable woman a few months ago. Maneet Chahal, 28, (L) seen here with her best friend Jasmeet Chagger, 28. The two nurses co-founded SOCH (Supporting our Community’s Health), an initiative to educate South Asians in the GTA about the resources and mental health system. Photo courtesy SOCH. Jasmeet Chagger, 28, is a nurse working with the Canadian Mental Health Association Peel Dufferin’s Assertive Community Treatment (ACT) team. In 2015, Jasmeet and Maneet Chahal, 28, a nurse as well, started SOCH (Supporting our Community’s Health), an initiative to educate the South Asian community in the GTA about mental health. Jasmeet and I talked about self-care, and how it was important for folks— caught in the frenzy of life—to take time to recharge, refuel and reset their emotional wellbeing. Let’s rewind this story and start from the beginning, shall we? “Soch” in Hindi and Punjabi means, “thought.” An apt name for a mental health initiative that has strived to tirelessly untangle complex layers about mental wellbeing to the South Asians in Toronto by demystifying terms such as counselling, psychology, depression, physical health and its connection to mental health and more. The two advocates—who live in Brampton—carve time from their hectic life to host workshops and events while managing full-time jobs and studying for their master’s degrees. Maneet and Jasmeet, who are childhood BFFs, said SOCH was borne from the realization that even after being in the system for five, 10 or more years, many South Asians had no clue about the resources available to them or tools they needed to manage their symptoms. Worse still, there was no culturally relevant information available to family members, who helplessly watched their loved ones suffer. The Brampton duo were the proud recipients of the Brampton Board of Trades’ 40 Under 40 for 2018 for their work. In this photo, Maneet Chahal, 28, and Jasmeet Chagger, 28, (R) co-founders of SOCH celebrate Maneet getting a nursing research award for her thesis. SOCH (Supporting our Community’s Health)is an initiative that educates South Asians in the Greater Toronto Area about mental health through workshops and events. Photo courtesy SOCH. So, what does SOCH do? SOCH hosts monthly workshops in Punjabi at community centres and Gurudwaras (Sikh temples) in Brampton and surrounding areas. When they first launched, they wanted the topics to resonate with the South Asians as well as the general population. With some help from LAB-B co-founder Harman Grewal, Maneet and Jasmeet found a physical address (LAB-B) from which they could host the information sessions. The workshops are designed to be more facilitator- style than lectures. In Feb. 2017, SOCH did its first South Asian-focused event and took the conversation into the Gurudwaras. Since then, the sessions are held in Punjabi/Hindi. “Instead of presenting a deck, we try and get the audience engaged by asking questions, listening or having them discuss a topic or issue amongst themselves first and we fill in the gaps,” Maneet explained. SOCH’s main mandate is to offer linguistically and culturally-appropriate information. SOCH acts as a bridge or conduit connecting and educating individuals from the South Asian community to information and resources available in the community. More importantly, SOCH has been instrumental in getting people (South Asians) to openly talk about mental health. Maneet and Jasmeet shared a few insights they had learned as mental health advocates. One Brave Night, an initiative by the Centre for Addiction and Mental Health (CAMH) happens during April. Participants stay up all night to experience what someone with mental health challenges is going through. The 2018 MonsterWorldMashup is a two-day festival of music, comedy, and art happening in Brampton June 1-2. Hip-Hop artist Haviah Mighty is one of the performers at the concert taking place June 2 at the Garden Square in Brampton. Details: The folks that bring the #Bollywood Monster Mashup each year are offering a two-day festival of music, art, spoken word and more in Brampton. The MonsterWorld Mashup runs Friday, June 1, an exclusive ticketed event will feature series of comedy acts, an art show and yes, a secret concert. The action takes place at The Den, Sheridan College, Davis Campus, 7899 McLaughlin Rd. Brampton at 6 p.m.
Saturday, June 2 has the heavyweights such as Movin’ Cool, Stay Out Late, Los Poetas and HANHAN performing on stage at the Garden Square (outside Rose Theatre) at 5 p.m. Details: Now in its 12th year, desiFEST is a free event and is the largest South Asian Music Concert, taking place on Saturday, June 2 at Yonge-Dundas Square in Toronto from 11 a.m. to 11 p.m. Details: Keralite Art Lovers Association (KALA) is hosting this dance concert by Divya Unni at the Erindale Secondary School, 2021 Dundas St. W. at 5:30 p.m. Details: PGA International will be putting together its annual Eid Bazaar June 9 – 14 at the Swagat Banquet Hall, 6991 Millcreek Dr. Mississauga from 1 p.m. to midnight. Details: A photo exhibit celebrating women of colour will take place at the Chinguacousy Library and Civic Centre, 150 Central Park Dr. in Brampton at 8:30 p.m. Details: Supporting Our Community Health (SOCH), an organization host a series of mental health workshops, Sunday, June 17, at Chinguacousy Library and Civic Centre, 150 Central Park Dr. in Brampton from 1 to 3 p.m. The idea is to increase awareness and education about anxiety and how it can be treated. These interactive workshops will take place in both English and Punjabi. Details: This Mississauga speed-dating event for South Asians will take place 7:30 to 9:30 p.m. at The Port House Social Bar & Kitchen, 139 Lakeshore Rd. E. Mississauga, ON L5G 1E5. Details: Pukaar News UK will be hosting the first-ever Toronto Curry Awards from 6 p.m. until midnight at the Holiday Inn Toronto International Airport, 970 Dixon Rd., Toronto, ON M9W 1J9. The awards will celebrate this rich heritage of curries to highlight the finest examples of South Asian cuisine and praising the restaurateurs dedicated to serving up our beloved curries. The 2018 IIFSA Toronto taking place has a mix of commercial as well as arthouse films. This year’s festival will include some 150 films in 15 languages, 50+ events across the 7 cities in the GTA over 12 days. Whew! That’s something. Sunny Gill, the founder/president of International Film Festival of South Asia (IFFSA) Toronto was not an avid fan of films or music until five years ago? Irrfan Khan (Life of Pi, The Lunchbox) starrer the Song of Scorpions will have its North American premiere in Toronto. The film also stars Waheeda Rahman (Guide, Pyaasa, and others) as well as Iranian actor Golshifteh Farahani (About Elly, Patterson). The film directed by Anup Singh will make its North American premiere at IIFSA Toronto. Screening happening on Thursday, May 10, at Cineplex Odeon Orion Gates Cinemas, 20 Biscayne Ave. Brampton at 6:30 p.m.
Anup Singh directed film starring Irrfan Khan, Waheeda Rahman and Iranian actor Golshifteh Farahani will have its North American premiere at the International Film Festival of South Asia (IFFSA) Toronto, May 10 at the Cineplex Orion Odeon Cinemas at 6:30 p.m.
A Letter to the President: Screening on Saturday, May 12 at the Cineplex Odeon Orion Gates Cinemas at 1 p.m. is Soraya’s story. She’s a low-ranking government official, is imprisoned when she defends a woman from village lords. She writes a letter to the Afghan president asking for help from behind bars. Afghani film A Letter to the President by Roya Sadat will have its North Amerian premiere at the International Film Festival of South Asia (IFFSA) Toronto May 12 at the Cineplex Odeon Orion Gates Cinemas at 1 p.m. The Hungry: Naseeruddin Shah and Tisca Chopra play central roles in this film that follows Tulsi Joshi, a single mother and bride-to-be who comes to her own wedding seeking revenge for the brutal murder of her first-born son. The film is “a macabre fairytale set in the elite circles of north India.” It runs May 12 at 3 p.m. at Cineplex Odeon Orion Gates Cinemas. Naseeruddin and Tisca Chopra star in this thought-provoking film screening as part of the International Film Festival of South Asia (IFFSA)Toronto May 12 at 3 p.m. at Cineplex Odeon Orion Gates Cinemas. Ajji: Sushma Deshpande, Sharvani Suryavanshi, and others are part of this acclaimed film by Devashish Makhija. Screens, Saturday, May 12 at 5 p.m. at Odeon Orion Gates Cinemas. This acclaimed film by Devashish Makhija. Screens during the International Film Festival of South Asia (IFFSA), Saturday, May 12 at 5 p.m. at Odeon Orion Gates Cinemas. Director’s Workshop: Anup Singh will lead this workshop aimed at young filmmakers taking place at the Courtyard Mariott Brampton, 90 Biscayne Ave. at 10 p.m. on Sunday, May 13. Fest in the Park: A lively outdoor concert happening at the Sheridan College, Davis Campus, May 19 at 3 p.m. The International Film Festival of South Asia (IFFSA) Toronto will host a Fest in the Park, an outdoor concert at the Sheridan College, Davis Campus, May 19 at 3 p.m.
75 Derry Road West, Mississauga, Ont. On Friday, May 11 (invitation only). IFFSA Toronto runs May 10 to 21 across the GTA and celebrates more than 150 films in 15 languages. For schedules, venues and ticket prices, visit the IFFSA Toronto website. YouTwoTV creators Harjit (top) and Jaz have a million reasons to celebrate. The talented and funny YouTube creators have more than 1 million subscribers to their channel. Photo by YouTwoTV. It’s Toronto Desi Diaries’ 100th blog and it’s fitting we commemorate our centennial blog post with two high-flying, super famous YouTubers—Jaz Saini and Harjit Bhandal (drumroll, please). These YouTwoTV creators, it so happens, have a million reasons to rejoice. Their channel, launched two years ago, recently blew past 1 million subscribers. Wow! Congrats guys. Not surprising then that Jaz and Harjit’s careers have taken off like Elon Musk’s rocket launches. The talented duo has fashioned a neat niche in the highly competitive YouTube space, a commendable feat, considering how many wannabes are jostling for attention in the crammed social-media platform. No wonder then their fans break the Internet every time they drop a new video (weekly). How’s it that these two desis from Toronto (Brampton) are able to deliver hit after hit? Their video, Back to School: Types of Students boasts 33 million views. Ditto, Types of girlfriends guys hate. Their lifetime YouTube views so far? 265.7 million. These numbers are jaw-dropping. So, what’s the secret sauce? It’s easy. Jaz and Harjit are a couple and the camera captures their sizzling chemistry, easy camaraderie, mutual affection and respect. Now to add to this potent mix some witty banter, a topic every individual between 18 to 34 years can relate to, voila! You have an award-winning team. I met the superstars during their “giddy with success” phase. They had just won the iHeartRadio MMVA “Fan Fave Much Creator” award; had their names and faces splashed across various media platforms and were being courted as brand ambassadors for several well-known companies. And yet, they were humble and untouched by the noise. It was so easy to love these two. Initially, both their families did not understand how the whole YouTube phenomenon could be a viable career. Jaz had a diploma in marketing and her parents wanted her to opt for a 9 to 5 job, one that came with a consistent paycheck. Harjit’s parents too were clueless and questioned his decision. Winning the coveted iHeartRadio MMVA was a turning point for these two Bramptonians whose talents came into sharp focus in the mainstream media. It was surreal. Last year, Jaz filmed a video, “Dear Mom” in which she talked about her mother’s struggle with depression and her death by suicide. It was a raw and poignant conversation that underscores the fragile mother-daughter relationship, the unanswered questions, the pregnant pauses and the shadow of darkness. Jaz, like her mother, lives with a depression and is struggling to find answers about the darkness that occasionally envelopes her. The video ( below) is a brave voice of a woman who in telling her story has made it easy for others in the South Asian community to do so. Here’s a conversation Toronto Desi Diaries had with the YouTwoTV couple. TDD: YouTwoTV has crossed the 1-million subscriber mark, how does this make you feel? Jazz: It’s actually so surreal that in less than two years, we’ve somehow managed to convince 1 million people that we’re entertaining. It feels awesome to know that our hard work is paying off! TDD: How many videos do you post per week and what’s the creative process? Do you write down the sketches, dialogues, decide location…? Harjit: We make one video a week on YouTube and try to make 2 to 3 small skits on Instagram a week. Jazz: As for the creative process, it’s different every week, sometimes we have an idea in our head and we spend a full day scripting and two days filming. Harjit: Sometimes, we have no idea and spend 2-3 days thinking of a topic and have to cram filming into one day. Jazz: We take an approach to every video differently, which keeps us on our toes. TDD: “YouTube Stardom” is a millennial/ “Gen Z concept, how did your parents reconcile that neither of you were going to end up in a conventional profession? Jazz: I’ve always been super independent and have done things differently than anyone else in my family, or just in the Indian culture and what my parents were used to. My Dad wasn’t really surprised when I went this route, he trusted that I knew what I was doing, but kept his distance and watched from afar. Harjit: Up until last year, my parents were still telling me to “get a real job.” It wasn’t until I started getting awards and I was in the news that they finally supported my dreams. Now they know how many subscribers we’re at before I even do! TDD: What topics do you avoid when it comes to the content you produce? Jazz: We try not to limit ourselves or even censor ourselves. I feel like people can tell when you’re not being genuine or when you’re trying to be someone you’re not. We try to avoid just being fake or even copying someone else’s work. It’s hard to be original with so much content out there, but we try and make sure we’re giving something fresh and new to our viewers every week. Harjit: That’s the most important thing to us (being ourselves), and we definitely try not to offend anyone, ha,ha. TDD: Anything in your childhood prepared you for facing the camera so effortlessly? Harjit: We don’t belong here, haha! TDD: Were you a couple when you started the show? Or did love saunter in slowly? Jazz: –We were already madly in love before we started YouTwoTV. TDD: Which one of your videos is closest to your heart, and why? Jazz: “Dear Mom” is a video that we made a few months ago, it’s different than anything we’ve ever done and talks about my relationship with depression and suicide and it was the first time I’ve ever publicly spoken about how my mom passed away. Harjit: “Dear Mom” lies really close to my heart as well for pretty obvious reasons. I’ve never really seen Jaz let herself be that vulnerable and we focused so much on the videography in that video. TDD: Who are your role models and why? Jazz: Harjit! He’s one of the most positive and hardworking individual I know. I’m really lucky to have found him. Harjit: Besides Jaz, Eminem and Shah Rukh Khan are definitely my biggest role models. Super funny and super talented duo Jaz(left) and Harjit of YouTwoTV are enjoying taste of success with one million subscribers. Photo courtesy YouTwoTV. Toronto singer Shweta Subram’s new single Rasiya hits all the right notes. Photo supplied by Shweta. With songs in Hindi and Tamil movies, performances at the IIFA Awards, Carnegie hall as well as funky YouTube covers, Shweta Subram still evades Bollywood. So, why has this talented singer/composer has chosen to not move to Mumbai and pursue Bollywood? Read on to find out. Shweta’s just-dropped single Rasiya clearly plays to her strengths: her training in Carnatic and Hindustani music, her musical IQ and ability to single-handedly shoulder the composition. To cap off on what’s been an exciting few weeks, Shweta’s rendition Mella Mella (composed by Ghibran) in a just-released Tamil Sci-Fi film Mayavaan, has been garnering attention. This desi singer has experienced several note-worthy moments in her career: she has won several coveted singing competitions. The prize of one included a personalized music lesson (via Skype) with Shankar Mahadevan, an opportunity to share the stage with Salim-Sulaiman during the Toronto IIFA Awards, singing with/for Ayushman Khurana, flawlessly rendering the national anthems of both, Canada and India during PM Narendra Modi’s visit to Toronto and more. So much more. Yet, Shweta prefers to live in Canada and travel (if necessary) to India and other countries. She’s somewhat reluctant to chase the limelight. She would prefer, it (limelight) came calling for her talent. It’s well-known music labels, studios and producers, all profit on the backs of talent. Ironic, isn’t it? When you consider the pivotal role music plays in Bollywood films. I know for a fact, artists spend hours hopping from studio to studio clutching demo tapes and flicker of hope in their hearts. It’s a long and lonely path. It’s a game Shweta doesn’t want to play. She would rather spend her time in front of a mic or collaborating or composing with like-minded individuals. Shweta Subram’s just-released single Rasiya showcases her powerful vocals. Photo supplied by Shweta. Oh, wait, what? Did you say, Sunny Leone? Shweta has provided the background score for Netflix’s Mostly Sunny, a film on Sunny Leone, a Canadian, making her mark in the Indian film industry. But, it was a chance meeting with The Piano Guys that launched Shweta into the stratosphere. The Piano Guys, the superstars of social media are a band of musically driven men, who in their attempt to market pianos in rather unconventional ways, ended up creating a powerful brand. So, The Piano Guys approached Shweta and asked her to compose/sing what was an Indian music inspired cover adapted from Swedish House Mafia’s tune Don’t You Worry Child. The video, featuring John Schmidt (piano), Steven Nelson (cello) and Shweta (vocals/composition) has garnered 20 million views and still counting. Shweta’s work ethics and talent appears to have impressed The Piano Guys. In the coming months, Shweta will be releasing more singles and doing what she’s best at—making music. After my chat with Shweta, I realized: Fame isn’t what happens to you in Bollywood alone, sometimes, it’s what you become when you stay away from it. May ’17 South Asian events in Toronto offer a heady and healthy mix of films, theatre, music and dance. Check out our desi events calendar. 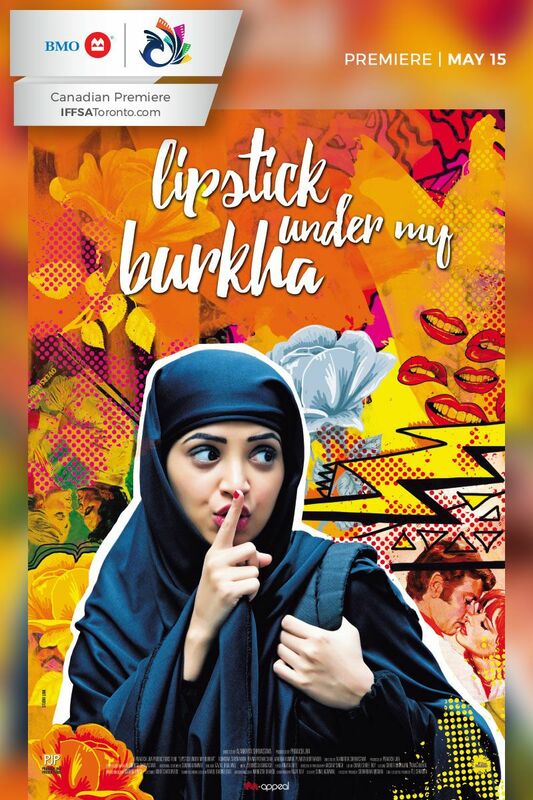 Details: Controversial film Lipstick Under my Burkha, Shahrbanoo Sadat’s Wolf and Sheep and dozens of others are part of the line-up. Guess what? Akshay Roy ‘s Meri Pyaari Bindu starring Parineeti Chopra and Ayushman will make its North American premiere e May 15 at the festival. IFFSA runs 11 to 22. Details: Punjabi Virsa Arts and Culture Academy will be hosting its 17th annual Nachdi Jawani Youth Festival, at 1370 Williams Pkwy. Brampton from 10 a.m. until 6:30 p.m. 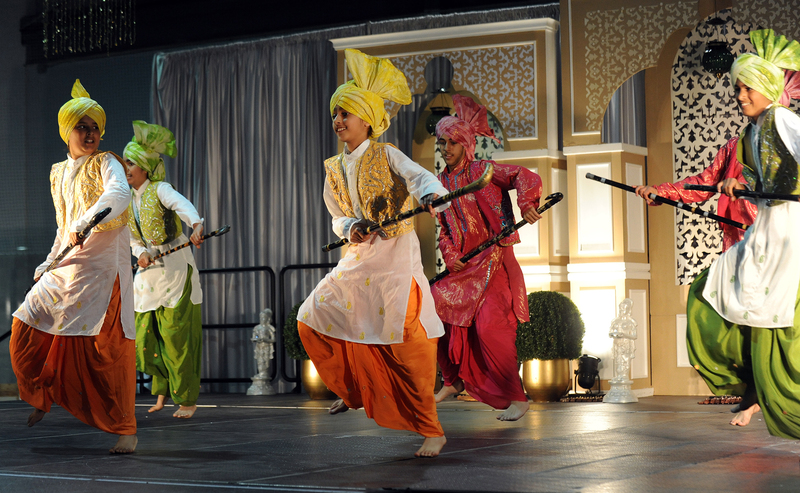 Event will feature gidha and bhangra competitions. Details: Enjoy a Bollywood musical concert at Glenforest Secondary School, 3575 Fieldgate Dr. Mississauga. The Taraang Ek Sureela Kaarvaan starts at 6 p.m. Details: Enjoy a Gujju comedy show at Chinguacousy Secondary School, 1370 Williams Parkway, Brampton at 5 p.m. The three-hour LOL riot features Dr. Jagdish Trivedi. Details: Raag-Mala Music Society presents Hidayat Khan (sitar) and Manjusha Patil (vocals) at this spring concert at McLeod Auditorium, Medical Sciences bldg., 1 King’s College Circle at 7 p.m. Details: A Bollywood-themed Zumba fitness party is happening at the Harold Braithwaite Secondary School, 415 Great Lakes Dr. in Brampton at 4 p.m. Details: Mississauga’s festival of cultures beckons you to take a trip around the world for chump change. While you’re globetrotting, stop by the India pavilion at the Hershey Centre, community rinks at 5500 Rose Cherry Place, Mississauga. Festival runs until Sunday, May 28.